At Primas Medispa, we pride ourselves on delivering bespoke treatments for every customer. Visia Skin Analysis offers the ultimate personalised experience, designed to examine your skin for the exact nature of imperfections. One-of-a-kind bespoke skincare consultations with Visia skin analysis and Primas Medispa allow you to create the ultimate skincare routine. 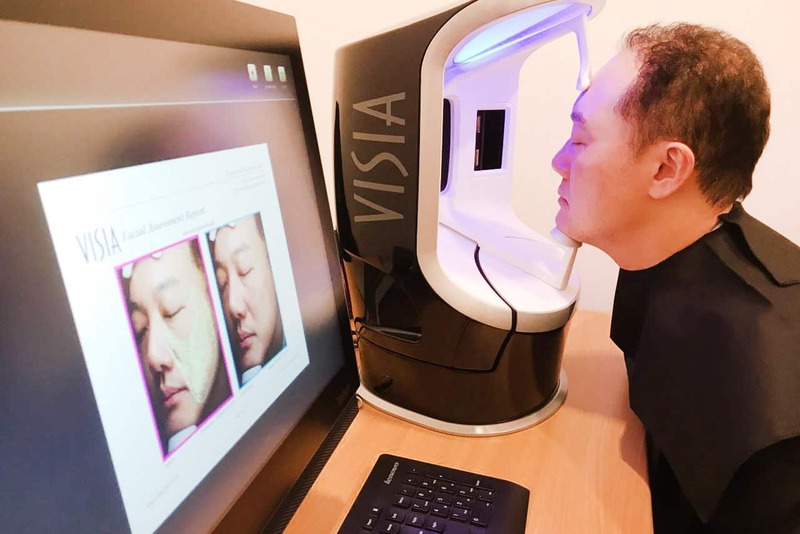 Whether you're looking for a solution to common problems like acne and pigmentation, or you simply want to revitalise your look, Visia Skin Analysis is the place to start. 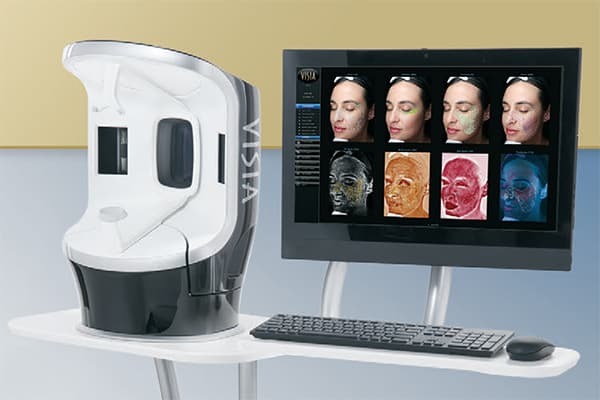 The intuitive Visia skincare system utilises UV light to scan your skin and capture information from six key areas that affect complexion appearance and health. By tracking pores, wrinkles, spots, texture, pigmentation, and porphyrins, Visia can offer you and your Primas Medispa team a complete overview of your skin situation. The comprehensive information provided by Visia means that our skilled and friendly skincare team can get to work sourcing the best, most natural treatments and skin care regimen for your precise needs. At your local Central London beauty salon, there's no such thing as a one-size-fits-all treatment – Visia helps us ensure we’re tailoring our treatments precisely to your skin without making any assumptions. Bring your vision of younger, healthier-looking skin to life with a scientifically-proven solution for bespoke beauty. The Visia complexion analysis system together with Primas MediSpa can ensure that our team blends the perfect treatments and recommendations for you to achieve natural radiance. 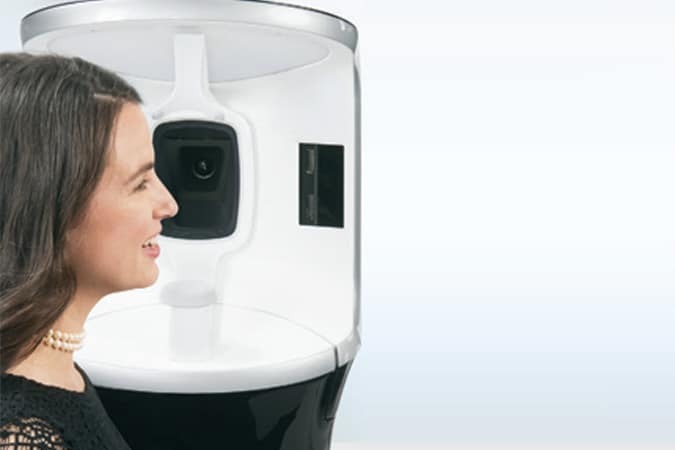 By scanning your skin and registering common issues, the Visia system provides a comprehensive recipe for skincare designed to reveal your inner beauty. Whether accessed alone or with other spa services and beauty treatments the complexion analysis system allows you to access a truly personalised care plan unlike anything else in the marketplace today. Avoid any procedures for a few weeks before your scan to ensure a natural reading. Do not wear makeup to the appointment. Follow your treatment recommendations carefully and always ask the Primas team if you’re unsure about anything.